If you're looking to reduce costs, of course the first step to developing an effective go-to-market strategy begins with understanding how much you're spending, with what suppliers, and on what products/ services - all answered by conducting a Spend Analysis. The benefits of a Spend Analysis, however, aren't limited to enabling cost savings initiatives. Gaining a clear understanding of your company's spend profile can also be the foundation for the construction of overarching strategic initiatives. Check out our infographic below to see how your company could benefit by taking a deep dive into your spend patterns! 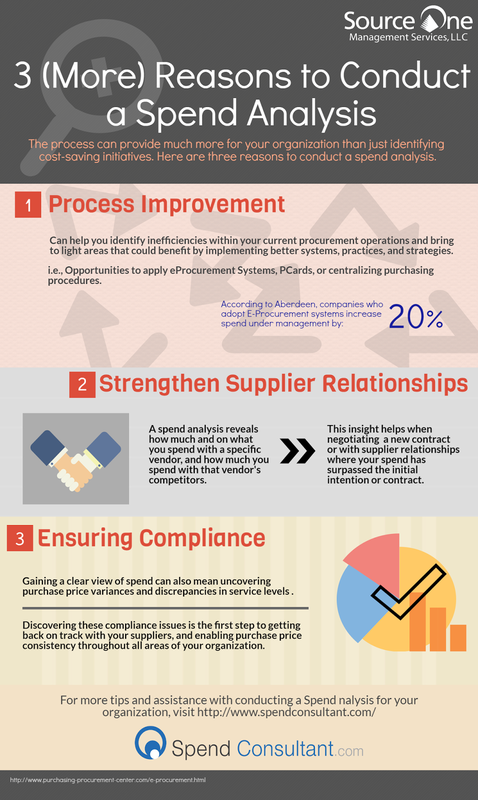 Of course conducting a Spend Analysis seems like a no-brainer to procurement professionals looking to cut costs. The challenge is answering: How to do so effectively? In many cases, companies look to solve the complexity of getting spend visibility by adding more complexity. Conducting a manual spend analysis can be a daunting endeavor (especially when dealing with decentralized data sets), so procurement groups to turn to a software solution. And while, the automation associated with spend analysis software on the surface seem like the answer to all your spend management prayers, getting a system in place can take months, require extensive integration into existing systems (which means you'll have to get IT and Finance involved), and in many cases the taxonomy used in the system aren't even tailored for the use of procurement. 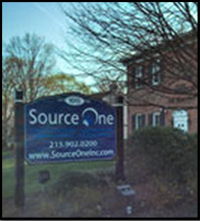 Source One's spend analysis as a service, www.SpendConsultant.com, has you covered. Implementing a semi-automated process, our clients receive a fast and actionable spend analysis report with category recommendations backed by decades of strategic sourcing experience. Our tool was created by procurement professionals for procurement professionals. Meaning, our goal is to provide you with cleansed and classified data, along with category advice and tips, to develop and implement effective strategic sourcing initiatives.